Additional artworks by Tim Jaeger are located on a permanent basis in the following venues. (Click on the name of the business to be re-directed to their website). 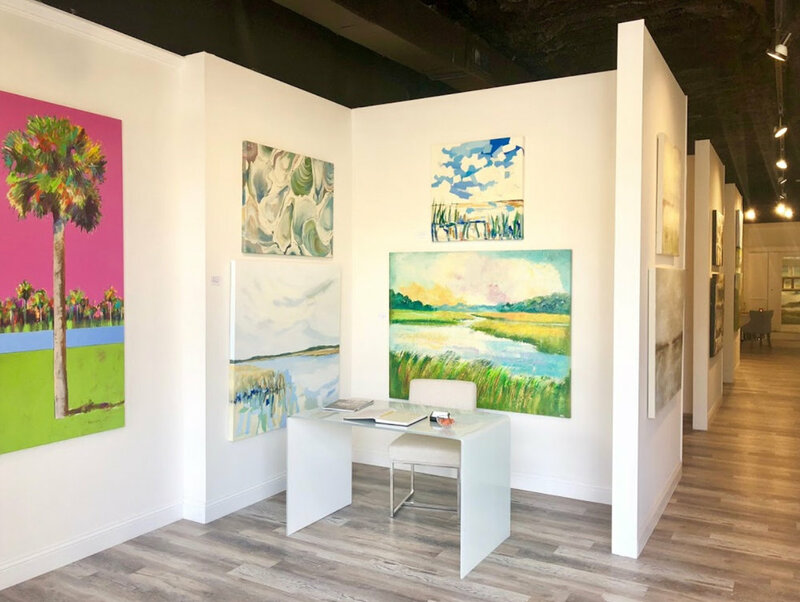 State of the Arts Gallery has become the foremost source for collectors focusing on acquiring contemporary fine art created by Sarasota artists. From its inception six years ago, the gallery has spotlighted professional, local career artists residing in the Sarasota. Omaha's preeminent fine art gallery, Anderson O'Brien Fine Art, established in 1980, is dedicated to the promotion of regional and national visual artists. 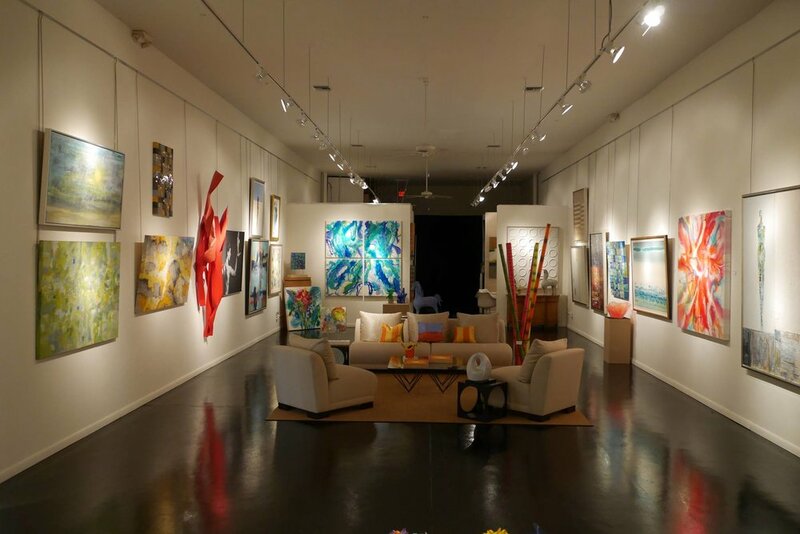 The Eisenhauer Gallery is known for its eclectic paintings and playful but elegant showroom. Over 40 artists from places as far away as New Zealand and as local as Chilmark, MA showcase work that stimulates the soul. These artists offer talent that is certainly outside the box. Explore fine art from around Northeast Florida and beyond. Stellers Gallery is one of the longest operating, privately owned galleries in the Northeast Florida. Plum has gained a reputation for offering exceptional regional contemporary works by established and mid-career artists, while also exhibiting young fresh talent of exceptional quality. At Cynthia's our goal is food cooked to perfection with respect to the ingredients and appreciation for the farmer, the fisherman, or the rancher for providing us with these glorious ingredients. We offer personal service from our dedicated and professional staff, an excellent wine list, and atmosphere for everyday and romantic dining. a cheese shop located in Sarasota, Florida, offers hand-cut to order artisanal and farmstead cheeses from across the region, the country and Europe. Bricolage [bree-kuh-lahzh] Art Collective is a space for artists to consign work and offers a location for patrons to acquire a variety of unique items for home and life. The madeby gallery is located at 2700 N. Tamiami Trail, Sarasota on the Ringling College of Art and Design campus. madeby offers an eclectic assortment of one-of-a-kind and limited edition works for sale by Ringling College of Art and Design students and alumni including jewelry, ceramics, paintings, photos, cards, posters, prints, & videos.